If you feel lucky or just want some extra excitement, CSGO roulette can be a really fun CSGO gambling alternative to try out. CSGO roulette is very close to classic roulette when it comes to the game rules. What differs the most is the layout and the fact that it focuses on skin gambling within Counter Strike Global Offensive. There are many different websites that offers roulette gambling for CSGO but make sure to choose a licensed website as there are many operators in the market that don't have one right now. Is there any age limit for CSGO roulette? Before you go ahead and open an account it's good to make sure your not breaking any rules that might result in losing potential winnings. Most commonly, in order to be able to play CSGO roulette have to creating an account on the gambling website by linking your steam account to the website that offers roulette gambling. In these cases, the website usually don't offer any opportunity to deposit real money by to play with, instead, you exchange your game skins for coins that you will be able to play with, these type of skin betting gaming pages don't usually have a specific age. Which pages have 18 years? Gambling websites that's not linked to steam (mainly CSGO match betting websites), are registered as a gaming company. This means they have an approved online gaming license. These gambling website are often more serious as they have to comply with laws and regulations that other gambling websites in some cases don't since (they are not registered or approved). If you'don't own many skins or just don't feel like exchanging your precious skins to be able to play you do bet in looking for websites that offers free coins. You can often find offers and campaign on different gambling websites that give's you some when you register and open a new account. 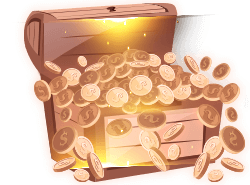 There are several ways to get free coins but the most common is trough bonus promotions. The website Thunderpick.com offers free coins when you include their website in your name on steam which is a relatively easy way to get some extra to play for. see out special bonus code in the list above for some extra coins. The game rules for CSGO roulette are very similar to the rules found in regular or classic roulette so it's not that complicated to understand. The main difference between classic and CSGO roulette is that in CSGO it's primarily about the color back and red and not so much about the numbers the ball lands on, it's safe to say it's more like a simplified version of classic roulette. The green color is still available as in classic roulette and can sometimes be seen in gold on on some websites. There are also some sites that have more than 1 green slot to make the game extra exciting. 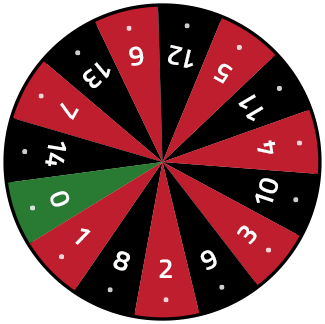 If you bet your coins on green you will get a bigger payout than if you bet on red or black. There are some theories about different strategies that can be used to increase the chances of winning when playing CSGO roulette, these tactics are not only used in CSGO roulette but also for in classic roulette. However, these tactics can be questioned, but we will let you decide if this is something you want to try out. 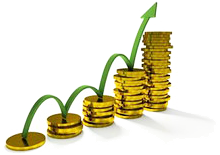 In the scenario above the profit is 5 and if this get's repeated there will be a chance to win another 5 and then the starting bet can be increased to 10. However, the risk is that you can come up to such a high level of losses so that you can not afford to play, so always make sure that yo never play for more than you can afford to lose, read more about his here. If you have not heard of Strat Roulette before you are about to get a fun tip for you and your CSGO team. Strat roulette is a website that generates several different game tactics and strategies for each new game round in CSGO. You can select which map your about to play and the website will then generate a strategy that is based on this map for your team to execute on. Many of the tactics that come up are very random and weird compared to other than professional tactics, but that's is all a part of what makes it fun. 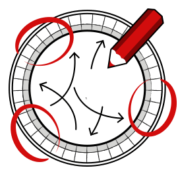 To get an example of how it looks, you can watch this video where the team get a strategy that isbased on them running around in circles until the round is over, do you feel like giving it a try? Visit strat roulette here.